I noticed an error with the newer version of dolphin emulator when playing split screen, the second player's screen acts like a full screen and is cut off. It is supposed to be compressed to fit the cut. Dolphin v3.0 x64 works fine but v3.0-828 x64 has this problem. Maybe a problem with your settings? Can u post 'em pls? I seem to be having trouble with PSO Plus when I use save states. I don't know if this is a one off thing but when I played yesterday (offline mode), I realized my save had lost all the information from my last play session. The save file had me at Lvl 7 when I had made it all the way up to Lvl 11. I can't quite remember what happened at the time of the save, but I did have a save state from when I was Lvl 11. However, whenever I try now to use that save state and save in-game, PSO says that it can't find the save file created at the beginning of this session and will quit without saving. Has anyone run into this issue before? Do save states somehow mess with PSO internal time keeping? I believe PSO uses the gamecube's clock to keep time but how is this affected by Dolphin's save states? Do they lose sync? I have tried letting it load up the save and then resuming from save state but the same problem arises: PSO can't find the save file created at the beginning of this session. (02-14-2013, 08:30 PM)Chubbly Wrote: Has anyone run into this issue before? Do save states somehow mess with PSO internal time keeping? I believe PSO uses the gamecube's clock to keep time but how is this affected by Dolphin's save states? Do they lose sync? You should avoid using save states. You're likely to get this kind of issue in PSO and other games. Not always but often. (02-14-2013, 08:30 PM)Chubbly Wrote: I seem to be having trouble with PSO Plus when I use save states. different time then the time of your save state. 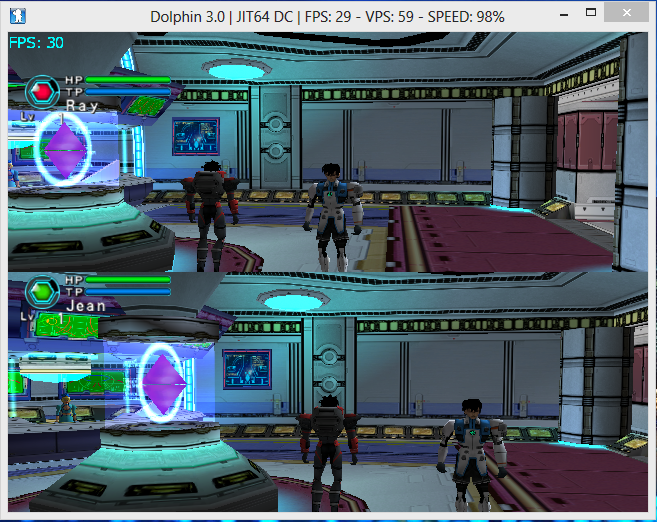 I'm unable to play PSO on the newest revisions of Dolphin. When I use the recommended settings listed on the Wiki in D3D, the game loads fine, until the title screen; then, a large white box fills 90% of the screen and renders the game unplayable (since I can't see anything). When I use OpenGL, the emulator crashes as soon as I load the ISO. The whole thing just locks up and I have to force quit Dolphin. No combination of settings I've found so far is fixing this. Is this game even playable right now? Update your NVIDIA drivers and use OpenGL. edit: I hope this doesn't sound rude; it just sounds like you're having the OGL 4.4 BufferStorage problem which is a NVIDIA driver bug, and I wanted to get that option out of the way first. (03-11-2014, 06:44 AM)JMC47 Wrote: Update your NVIDIA drivers and use OpenGL. I tried updating my drivers, but it didn't work. It still crashes upon startup with OpenGL, but only OGL. 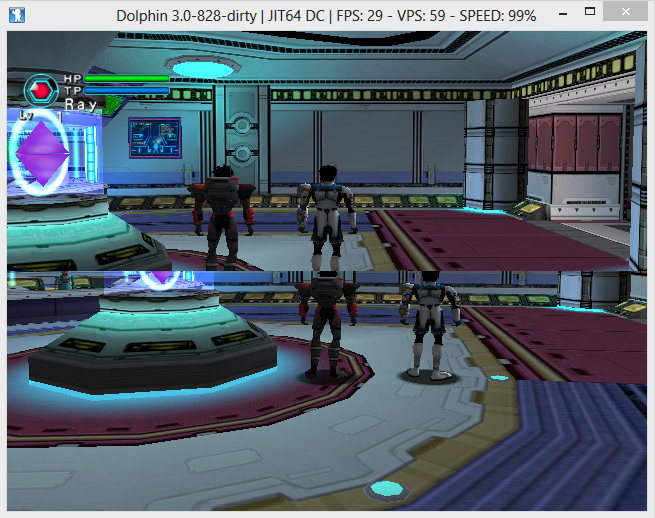 It's working fine over here in Dolphin 4.0-1082 on a NVIDIA card in OpenGL.